​​Adrien Broner doesn't seem like someone who can accept defeat. After losing to ​Manny Pacquiao in unanimous decision (and frankly, if you took a poll of folks watching at home we'd all agree), Broner somehow had the nerve to feel slighted. 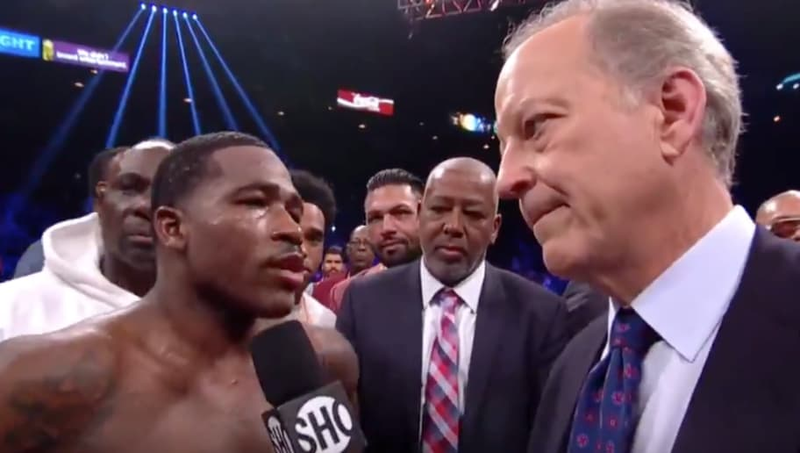 In his post-match interview, Broner took control of the mic and spit some NSFW venom towards Pacquiao and the official scorers. How could he feel this way? Broner failed to land even half the punches of Pac-man. Had it been a close fight, he'd have every right to claim the fix is in, especially with a Pacquiao-Mayweather rematch looming. But Pacquiao flat-out beat Broner, and this is now the second straight defeat for the 29-year-old. Broner is now 3-3-1 in his last seven fights, signifying a drop-off many didn't expect from the talented fighter until a later age. Modesty is a powerful concept, Broner ought to try it out.